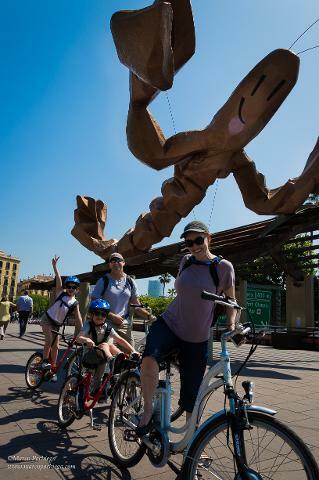 Would you like to bring home beautiful photos of you and your friends, fully immersed in the fantastic city of Barcelona? Then this is the option for you! A professional photographer will create a high quality photo album, guide you through the most fascinating places in Barcelona and help you discover some of the hidden and most characteristic corners of the city, on a tour of your choice. 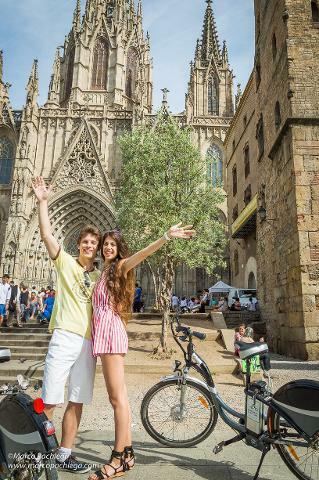 You will also learn some of Barcelona's history and funny anecdotes. This photo tour is the best way to explore the heart of the city, and take home some natural and fun shots! Narrow alleys, beautiful gothic squares, colourful facades and amazing Mediterranean landscapes will be the perfect scenery for your photo memories. Do you have any special requests? Want to change location? We can customize your tour to your needs and expectations. You will receive by email 30 retouched photos in high-quality (jpeg), within 7 days. effects or extreme editing. We want to maintain the genuineness of our customers! The tour is NOT with BIKES. 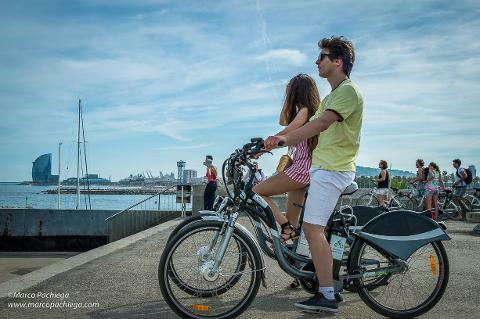 Extra service: Use of e-bikes or city bikes to reach even more amazing places!